The 1895-96 season promises to be an exceptional one for Amelia Peabody, her dashing Egyptologist husband Emerson, and their wild and precocious eight-year-old son Ramses. The much-coveted burial chamber of the Black Pyramid in Dahshoor is theirs for the digging. But there is a great evil in the wind that roils the hot sands sweeping through the bustling streets and marketplace of Cairo. 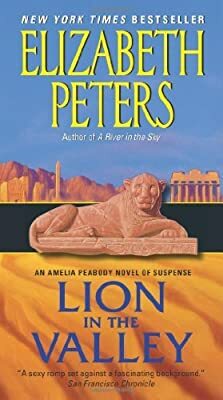 The brazen moonlight abduction of Ramses—and an expedition subsequently cursed by misfortune and death—have alerted Amelia to the likly presence of her arch nemesis the Master Criminal, notorious looter of the living and the dead. But it is far more than ill-gotten riches that motivates the evil genius this time around. For now the most valuable and elusive prized of all is nearly in his grasp: the meddling lady archaeologist who has sworn to deliver him to justice . . . Amelia Peabody!